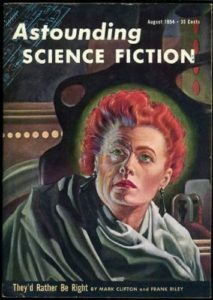 The Cold Equations is a short story by Tom Godwin, first published in Astounding Magazine in August 1954. You might want to read it before we go any further. I wouldn’t want to spoil anything for you. The story’s about a teen-aged girl named Marilyn Lee Cross who stows away on an emergency space shuttle with disastrous results. I chose it as one of the two radio dramas we included in our science fiction radio pilot Faster Than Light. I chose The Cold Equations because it was dark and sombre. I’m partial to humour, but I wanted something with a little gravitas, something that I thought people would take seriously. I wasn’t the first to adapt The Cold Equations for radio. It had been adapted twice before, for an episode of the radio program X Minus One in 1955, and for the radio program Exploring Tomorrow in 1958. In the story, Marilyn just wants to visit her brother on a nearby planet. The emergency shuttle is delivering critical medical supplies to sick miners on that planet. Unbeknownst to Marilyn, the shuttle is designed with a strict set of parameters: it has just enough fuel to carry its sole pilot and his critical cargo to the planet. With Marilyn on board, the shuttle will run out of fuel, the mission will fail, and the miners will die. 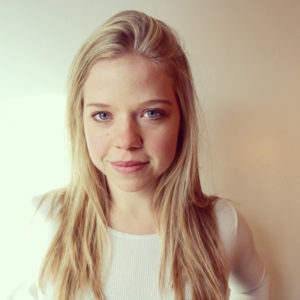 Critics of the story point out that the writer, Tom Godwin, unnecessarily stacked the deck against the girl. Why was it necessary to design the shuttle with such a slim margin of error? Godwin might argue that fuel would be a precious resource in space; you wouldn’t want to use any more than was absolutely necessary. Of course, the real reason is that Godwin needed to create a very specific set of circumstances for the story to work. But consider the recent plane crash in Colombia that tragically killed most of the Brazilian Chapecoense Real football team. The plane ran out of fuel because the company that owned the plane skimped on fuel to save money, with horrific consequences. Godwin’s plot may not be so unrealistic after all. Realistic or not, in the universe of the story the girl must be jettisoned from the shuttle into deep space for the mission to succeed. Not exactly a Hollywood ending. My story editor, Dave Carley, felt that Marilyn learns the consequences of her ill-fated decision to stow away too quickly. She spends the rest of the story waiting to die, while the pilot reflects on the cold, harsh reality of the universe. There is no hope and therefore no real tension. I didn’t necessarily agree, at least initially. I’d originally come across the story in an English class in high school in one of our text books. I began reading it during class, during the teacher’s lecture, and quickly forgot about the lecture. I found the story utterly gripping. This was long before cold-blooded authors like George R. R. Martin began killing off our favourite novel and television characters with impunity. I didn’t believe that the girl was going to die. I kept waiting for her to be saved, and was utterly gobsmacked when she was finally jettisoned from the space shuttle. Reading the story as a teen-ager, I had never encountered such a brutal ending before. It left quite an impact. 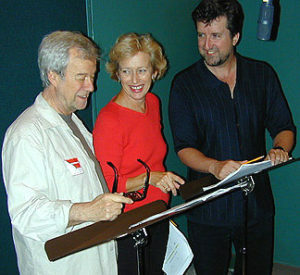 Story Editor Dave Carley (far right) on the job in Studio 212 with Gordon Pinsent and Linda Grearson during the taping of the Radio Play Test Drive (photo by John McCarthy). Writing the adaptation, I felt like I was writing yet another draft of Tom Godwin’s story. This may be horribly presumptuous, and my apologies to Tom Godwin, but I felt like it was an opportunity to correct some of the story’s flaws. For one thing, the original story was quite wordy. I cut an awful lot out of it. Now, I have a lot more respect for Tom Godwin than some, such as editor Algis Budrys, who reportedly once said that The Cold Equations was “the best short story that Godwin ever wrote and he didn’t write it” — referring to the fact that editor John W. Campbell sent the story back to Godwin three times before Godwin finally got it right—that is, before Godwin stopped coming up with ingenious means of saving the girl. Oh, and allegations that he borrowed the idea from a story published in EC Comics’ Weird Science #13 . Anyway, Campbell recognized the true power of the story: the idea that the universe is impartial. It doesn’t care whether you live or die. Reading it back in high school, I glimpsed, perhaps for the first time in my life, a sense of the implacability of the universe. You play by its rules or you die. The stowaway is done in by cold, hard facts. For others to live, she had to die. Several drafts into my version of the story, I was happy with everything except the ending. Something was missing. It didn’t feel complete, somehow. Endings don’t always come easy for me. I work hard at them because I consider them extremely important. Getting the ending wrong can ruin an entire story. Getting it right can elevate all that came before. I discussed it with my wife. Something she said (unfortunately, I don’t remember what, exactly) made me realize that the pilot didn’t need to talk or think after ejecting Marilyn from the shuttle. He needed to acknowledge what he’d just been through. He needed to cry. It was an epiphany for me. It allowed me to cut a bunch of extraneous boring dialogue and get on with the emotion of the scene. Later, one of my colleagues suggested that if you allow a character to cry, you are depriving the audience of the chance to cry themselves, because you’re doing it for them. I felt differently. Making the pilot cry felt like what would actually happen. I know that truth doesn’t necessarily equate to good fiction—the truth is deeper than that—but sometimes it does. So my pilot cried, and it felt right and true to me. Once the script was complete, we held auditions for the cast. An embarrassing amount of actors showed up for the casting call (we auditioned for both radio plays included in Faster Than Light at the same time, The Cold Equations and Captain’s Away). Ultimately we cast Matthew MacFadzean (not to be confused with British actor Matthew Macfadyen) in the role of the shuttle pilot, and Vivian Endicott-Douglas as the young stowaway Marilyn. Shawn Smyth played the stowaway’s brother Gerry Cross. 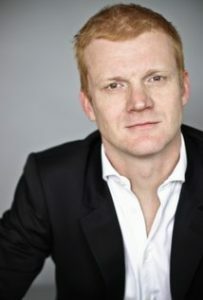 Andrew Gillies played Commander Delhart of the Stardust. Sergio Dizio played the Clerk and Jennifer Dean one of the surveyors. 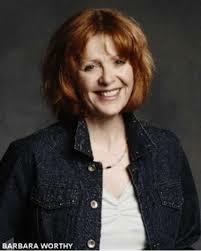 Julia Tait was our casting director (replacing regular CBC Radio Drama Casting Director Linda Grearson, who, I believe, was subbing for Deputy Head James Roy at the time). Barbara Worthy directed The Cold Equations while I sat behind the Neve Capricorn console recording the show. Matt Willcott did all the live sound effects. I was extremely happy with the work of our actors. I have to single out Vivian, though, who was extra-ordinary. She nailed every single take of every single scene. We could have used any of her lines in any take. We did have trouble with one lengthy scene during which the pilot must stoically accept Marilyn’s fate. Couldn’t quite nail the pilot’s tone and neither Barbara nor I could figure out what direction to give Matthew to make it work. We did four takes and were running out of time—we only had the actors for so long. We were forced to move on and record other scenes. Just before production wrapped for the day we came back to that problematic scene and did two more takes. Matthew finally nailed the tone, sounding troubled yet together. It didn’t take me long to edit The Cold Equations, probably a couple of hours. I used most of the scenes we recorded in their entirety, which was unusual. Usually we scavenged lines from other takes of the same scene. I mixed the twenty-five minute long play in a single day in Sound Effects Three, my favourite mixing studio. I didn’t have the budget for much original music, but I was able to use an original piece of music for the opening called Snowfire Reprize, by Rod Crocker. I used a couple of Manheim Steamroller pieces from Fresh Air 1 for a couple of tiny music bridges. At the end, I had Mozart’s Lacrimosa swell up underneath the pilot’s tears. At first I thought it might be too much, a little too heavy, but after listening to the completed mix in the studio I was convinced that the pathos of the piece supported it. The Cold Equations may not be the most accomplished or sonically interesting radio play I’ve ever worked on. But I’m pretty darned happy with it. The Cold Equations was originally broadcast as a part of Faster Than Light on Sept 22nd, 2002 on Sunday Showcase (in mono) and again Sept 23rd on Monday Night Playhouse (in stereo). A Time and a Place — Now Taking Orders!